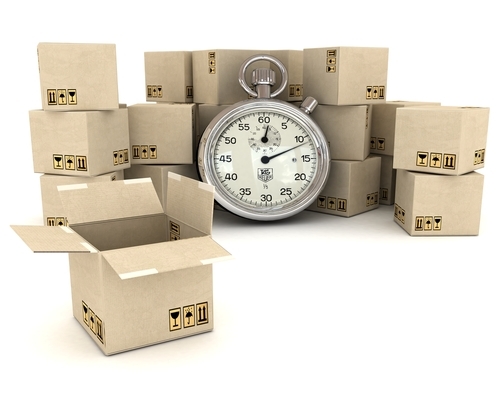 What Does ‘On-Time Delivery’ Mean for Your Team Gear Provider? With various player schedules and field assignments to keep track of, the last thing you and your coaching staff should be worrying about is on-time delivery of your uniforms. But buyer beware: Your purchasing behavior and your team dealer’s failure to ask the right questions and share the best information may end up causing you and your sports program real problems. When beginning the process of ordering fan shop apparel, uniforms or other team gear that will require additional manufacturing and custom decoration, make sure you take the time and care to share with your provider specific information related to your “in hands date.” This is the date you require your new uniforms, apparel and other gear you are ordering to be delivered to your specific location. Once I place my order will you require any additional information from me that could possibly delay my delivery? Do you have my artwork prepared for decoration? Have you factored in the actual transit time of my garments when committing to my required in hands date? Are there any potential back orders with the styles and items I have selected? Making sure your team dealer responds to your key questions will increase the likelihood that your new uniforms, travel suits, workout apparel or other team gear items will be delivered where and when you need them. Now you only need to worry about everything else!